IX Liverpool is registered in England and Wales as a not-for-profit company limited by guarantee (Company Number 10030226). We operate as a mutual organisation with the company owned and run for the benefit of its members. Each member holds one vote with the option of electing one board member as a representative for that member. Members of the exchange join to connect their networks together (to exchange traffic), share and exchange knowledge and experience, join to help make the Liverpool Community Region’s Internet better for everyone while also taking advantage of the business networking and sales opportunities that come from organisations working together. Some members join simply to attend the business networking events and get involved in the projects that we do (like the Internet of Things, Sensors and 5G), others connect their networks and exchange data traffic so that they save money on bandwidth while improving the quality of their network, either way, there are real and tangible benefits to becoming a member of our community. Baltic Broadband is a Wireless Internet provider based in Liverpool that offers Broadband for businesses. We are disrupting the Dinosaurs who have for years provided a low quality product for a high price. From just £50 a month businesses can enjoy fast, reliable and symmetrical business grade internet to their premises and with features like traffic prioritisation, fast lane access for retailers using credit card machines and backed by a 99.9999% SLA and 1 month contracts, the extinction of the Dinosaurs has probably just begun. Exascale is a Ofcom-regulated telecommunications provider. We provide wholesale and direct to business; A wide range of solutions from leased lines through to business broadband and national MPLS, cloud services, IP telephony and a wide range of data centre hosted solutions. up solutions to tackle modern-day technology requirements. Marlan Maritime Technologies provides situational awareness solutions for maritime and marine-related industries. Our high performance, cost-effective vessel traffic monitoring and management systems are designed to help those responsible for ports and harbours, coastal surveillance and offshore asset protection to achieve the safety, security and efficiency they need. Our Head Office is based in the North West of England and we provide Business Telephony Services to customers all over the UK. With over 30+ years in the Telecoms sector we specialise in LG & AVAYA Business Telephony. We install & upgrade CLOUD / HOSTED Telephony solutions and provide our customers with ONE BILL for all network services through our billing platform SENSIBILL. We constantly look to improve the Network connectivity for our customers so they can bring efficiencies to their businesses and we partner with some of the leading TIER 1 networks to provide these services. 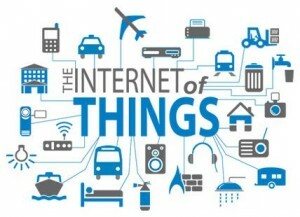 Internet of Things build devices, systems and services, enabling the unconnected to become connected. They wanted to be connected to IX Liverpool to shorten the path between them and their connected devices, helping to low latency while improving resilience. As a consultancy business and manufacturer of Internet Connected Devices, keeping traffic local for connected “things” is vital to the monitoring and control of their devices. DoES Liverpool is an independent maker-space, co-working space, education space and events space founded in 2011. Friendly and open to all, DoES attracts professionals, hobbyists, students and young people with weekly public events, hot-desking, permanent desks and workshop access. DoES Liverpool is also a self-funded community interest company, with all profits invested back into the community and making the space more epic. W3Z Broadband has been delivering reliable wireless broadband and symmetric leased-line services since 2003. Part of the Zycomm Group, their prime hilltop radio sites provides a high-capacity backhaul throughout the East Midlands without the commercial disadvantage of using third-party masts and assets. Zycomm’s 40 years’ experience in RF technologies allowed W3Z to expand rapidly and become one of the UKs first and largest commercial WISPs, competing successfully with the wire-bound multinationals. Their microwave network now spans 4 countries, delivering NGA connectivity over 6000 square km. Proud supporting members of IXLiverpool: improving resilience and connectivity between W3Z customers and the North West. We combine state-of-the-art 5GHz and TV Whitespace technology to deliver rural and urban in-fill super-fast broadband. We are pioneering the use of WhiteSpace technology on the Isle of Arran, the first commercial deployment in Europe. We are currently trialing the latest generation of this technology, delivering an impressive 40Mbps. 100Mbps is just around the corner. We are working with the world’s leading experts in WhiteSpace technology – Microsoft, Nominet, the Strathclyde University and King’s College London – ensuring that residents and businesses get the best of the best. We are also using more conventional 5GHz radio technology where we have ‘line-of-sight’ to our customers. While TV WhiteSpace is fast, 5GHz is even faster – so if you are not surrounded by trees or tucked away behind hills, you can expect even more from us. Founded in 1979, The Stack Group are experts in the provision of IT services and management. Our offerings encompass all aspects of cloud, security, virtualisation, data services, unified communications and infrastructure. We are one of only a few companies in the UK who provide such a comprehensive integration of services. With two wholly-owned, ISO27001 accredited datacentres, all of our solutions are industry certified and comply with EU regulations. From our office locations in Liverpool and London, we provide leading edge technologies to clients throughout the UK. MGISS delivers a full range of geospatial solutions and services that help businesses capture, analyse and visualise spatial data. We equip professionals with the latest hardware, software, comprehensive support and training programmes, independently advising on what’s best for the project. Benefiting from more than 20 years’ experience, we help organisations in the Infrastructure, Environment and Energy sectors manage their assets more efficiently. MICT is a Liverpool-based IT support company offering a full portfolio of services. Pick and choose as many or as few of our services as you need: we’ll deliver the same high quality, reliable, flexible service whether we’re fixing a mouse or managing your full IT operations. Below are the details of each member who peer at IX Liverpool. You are recommended to use Peering DB in order to gain up-to-date peering information before sending out peering requests to members. You can read more about the technical details of our LAN’s here.